A small business owner’s life is chaotic as he/she has to juggle so many roles, especially in the initial phases of the business. It becomes necessary to manage the valuable time at hand even with a full-fledged team in place. In fact more so, with the entire team, to avoid conflicts and foster a great work culture. Modern mobile apps and tools are a saviour that can manage your workflow, track the number of productive hours worked, help your business hire faster and even communicate with your employees easier – in other words, help you in your quest for growth. 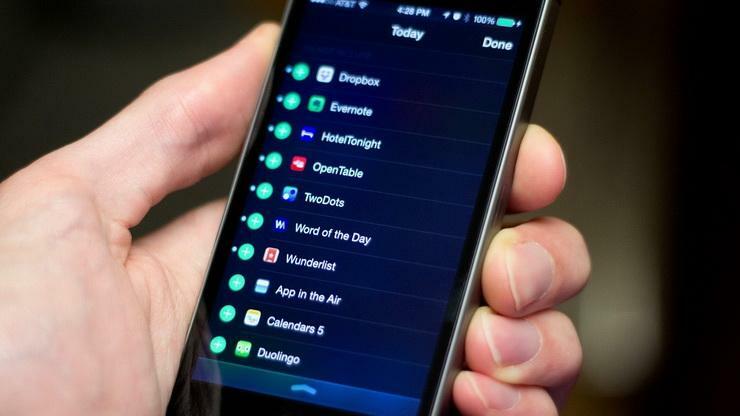 Let’s take a look at a few such apps that are making lives simpler for businessmen. 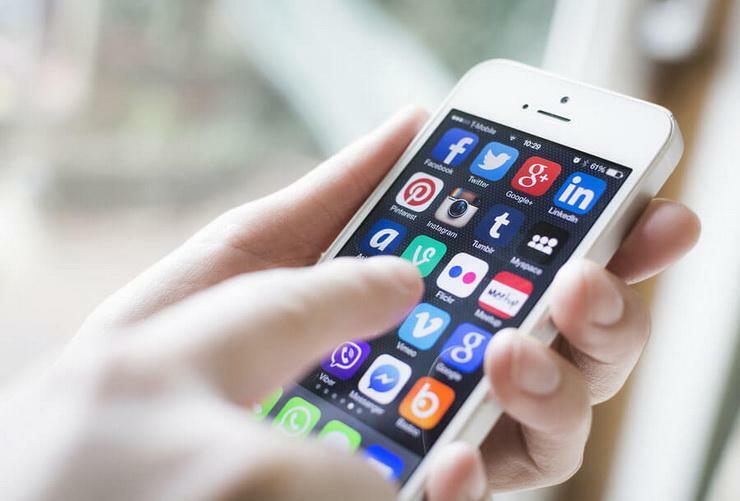 5 Mobile Apps A Small Business Owner Can Use To Make Life Easier! Here are a few of the countless mobile apps now available to help a small business owner manage his/her business better! Slack is an instant messaging and collaboration system for an organisation. You can create different open team channels such as Accounts, Marketing, Media and have separate discussions. Everyone has a transparent view of what’s going on within the company. There are also channels for sharing sensitive information, which only invited members can access and use. You can reach a colleague directly with the help of Slack’s instant messaging functionality. Not just your messages, but all your files, images, PDFs, documents and spreadsheets can be dragged and dropped right onto Slack and shared with anyone. Everything in Slack – messages, notifications are all automatically indexed and archived so that you can have it at your fingertips with the help of a single search box. You can even customize your notifications depending on your workload. Dial them up to be alerted about everything or dial them low to focus on particular things. Slack has mobile apps for all your platforms such as iOS, Android and Windows Phone (beta). Also Read: How To Use WhatsApp To Grow Your Business? The USP of Slack lies in its inbuilt integrations with over 60 partners such as MailChimp, Google Calendar, Google Drive, Twitter etc. from where you can pull all the information and activity you need into Slack. It is useful from the point of view when you can see everything your team is doing. Slack offers a free version which is great for budget-conscious small businesses. Although, they do charge a minimal amount per user. Dropbox is one of the most popular free online file storing and sharing services. It brings all your files together in one place. Even better, it allows you to store relatively large files with absolute ease. Dropbox instantly updates everyone who has access to it, so you always have most important and latest copy of your files. Dropbox accounts retain a history of files added and deleted within 30 days. This means, you can retrieve crucial files, even if you trashed it a week ago. Small businesses should use Dropbox and avail its benefits in the form of updated and important data saved always. Quickbooks is an accounting software program used to manage sales and expenses and keep track of daily business transactions. 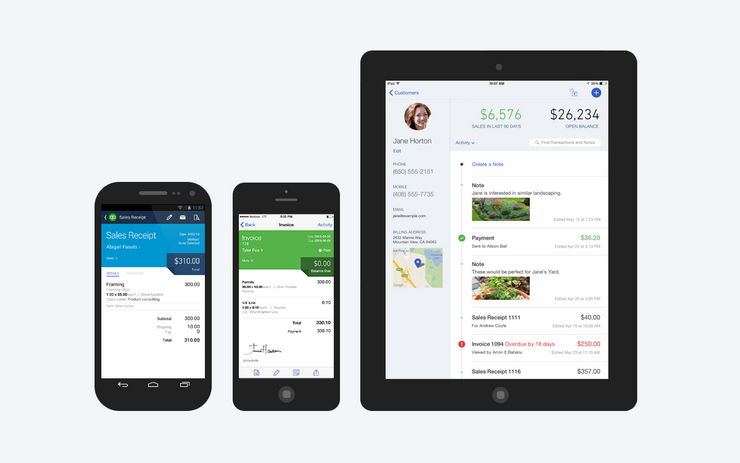 Quickbooks online helps small business owners the freedom to work from anywhere with their mobile app. Also Read: Look Beyond A Mudra Loan To 'Grow More'! It is designed for small businesses aimed at helping them with their accounting functions like accounts payable, accounts receivable, sales invoicing, credit card management and financial reporting. Quickbooks will help you design a business plan to use when trying to secure a small business loan or a line of credit. It will create a projected balance sheet, profit and loss account and a statement of cash flows. Quickbooks is highly customisable to a wide range of small businesses. The mobile app is supported on all devices – mobile, desktops and tabs. It is one of the best and most trusted accounting software designed especially for small businesses and a must mobile app to have. Social media is the buzzword if you want to make it big. All your audience is active there in the form of your potential customers. But managing so many platforms can get grilling after a while. The best solution is Hootsuite which offers a single dashboard from where you can track and manage all your Social Media Accounts. It can enable you to monitor what people are saying about your brand and help you respond instantly. You can view streams from multiple networks such as Facebook, Google +, Twitter and post updates or reply directly. Hootsuite is completely cross-platform as it works well on all the modern browsers and has mobile apps for iPhone, iPad, Android and Blackberry. Hootsuite sends you weekly emails with a pdf attachment of your click summaries showing important information like the number of clicks per day, geographical information on the people clicking through, top referrals and most popular links. Also Read: How To Apply For IEC Code? For a small business, it is one of the best tools to manage and stay on top of different social media platforms. MailChimp is the world’s second-largest marketing automation platform. It helps millions of customers from small e-commerce shops to big online retailers to find their audience, engage their customers and build their brand. They have beautiful templates ready to use which you can even customize depending on your brand. Create beautiful email campaigns and send them to your mailing list whether you want to sell your products or share some news. 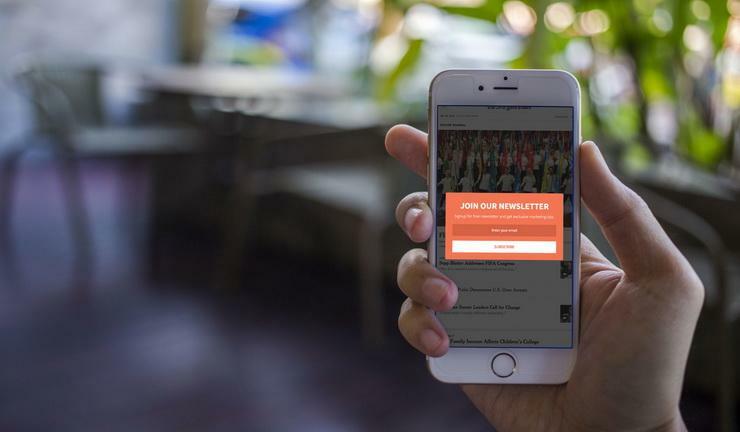 They have integrated Facebook and Instagram ad campaigns to find new customers and reconnect with others. Also, regular reports by MailChimp show how well you are connecting with your audience, how much money your marketing is bringing in as well as free tips for improvement. You can download their iOS or Android apps and schedule emails on the go. It is a great tool for small businesses to stay connected with your loyal customers and remind the not so loyal customers of what they are missing out on! Technology is evolving rapidly with several new tools being added every day for making lives simpler for small businesses. It’s necessary to sit down and shortlist which apps or tools work best for you and your business goals. Get in touch with Gromor today to avail an unsecured small business loan and take your business to the next level!